Transferring contacts from your iPhone to your computer is one of the ways to keep the contacts safe. Yet, it can be quite difficult to transfer contacts to your computer. In fact, most people will tell you there is no easy way to get contacts from your iPhone to your computer without iTunes. If you are looking for ways you can easily get your contacts from your iPhone to your computer, this article will offer you a few simple ways to do just that. 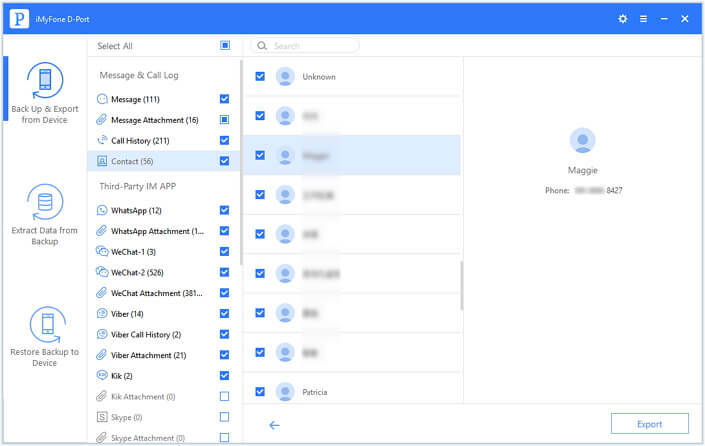 The easiest and quickest way to transfer contacts from your iPhone to your computer is to use a third-party data exporter. One of the best is iMyFone D-Port Pro, a backup and restore tool that also gives you the option to export more than 20 types of data from your iOS device or from iTunes/iCloud backup and save them in any folder on computer. 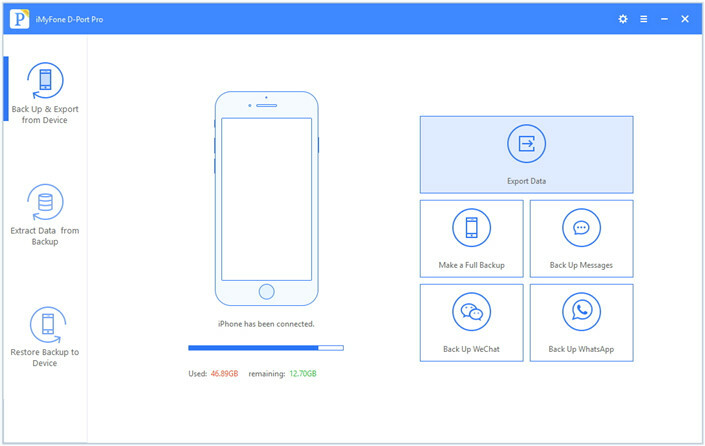 In addition to exporting iOS data, it can also be used to create a complete backup of the device in a single-click, and selectively restore a backup or restore the full back up to the device without overwriting the previous backup (No data loss). It is also compatible with all iOS devices and all versions of the iOS firmware including iOS 11. Step 1: Launch D-Port Pro on your computer and then select “Back Up & Export from Device” from the left panel. Click on “Export Data” to begin. You may be prompted to connect the iPhone to the computer if you haven’t already. 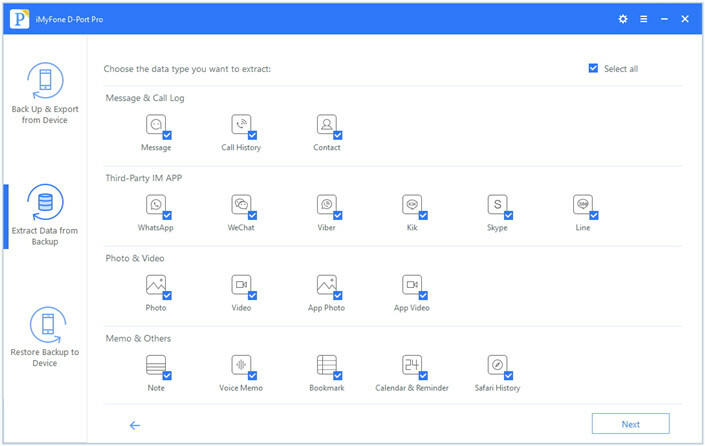 Step 2: In the next screen, you need to select the type of data you would like to export. Make sure “Contact” is selected and then click “Next” to continue. Step 3: The program will scan the device for the contacts. Once the scan is complete, preview and select the contacts you need to move to your computer and then click “Export”. 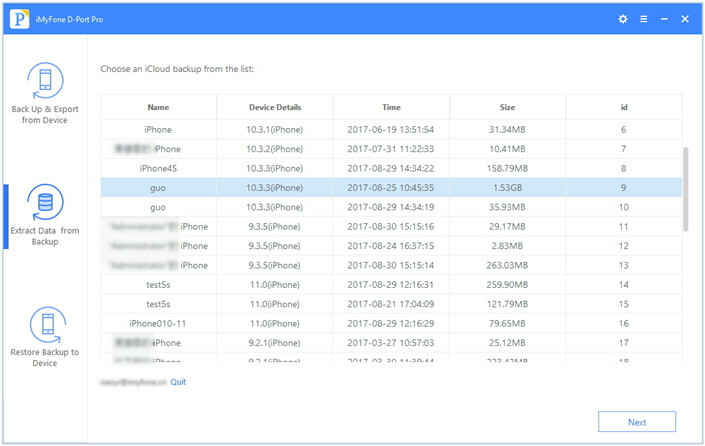 Step 1: On the program’s main window, choose “Export Data from Backup” and if the iCloud backup you need is not already listed, click on “Download iCloud Backup.” This will open a login window, allowing you to sign in to your account. Step 2: Once signed in, select an iCloud backup file that contains the contacts you want to extract and then click “Next” to begin downloading the backup. Step 3: Select the type of data you want to extract (in this case contacts) to reduce the time it takes to download the backup. Click “Next” to continue. 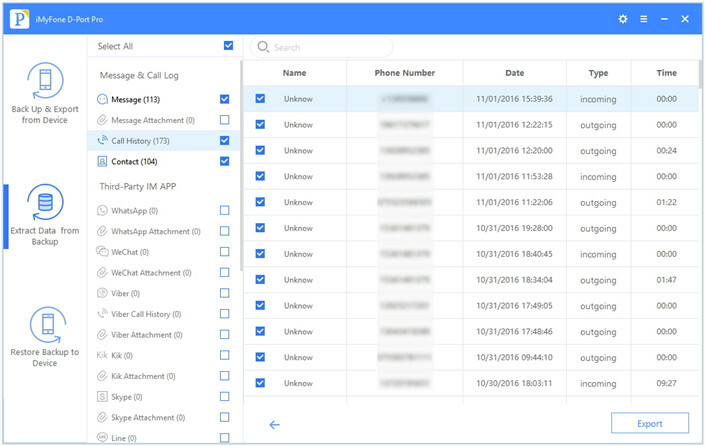 Step 4: In the next window, a detailed list of the contacts available on that backup will be displayed. Select the ones you’d like to export and click “Extract” to save the data to your computer. 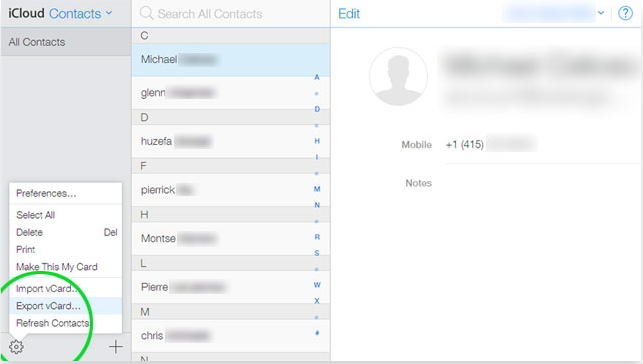 Another way to get your contacts from your iPhone to your computer is to share the contact card via Email, by essentially emailing the contact card to yourself. Here’s a step-by-step guide. 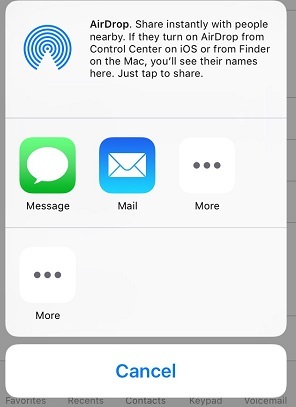 Step 1: Open the Phone app on your iPhone and find the contact you would like to transfer to the computer. Step 3: Tap on the Mail icon and email the contact to yourself. Step 4: Now open your mail provider on the computer and download the attachment to save to your computer. Step 1: On your iPhone tap on Settings > iCloud to open the iCloud settings. Step 2: Enable contacts and a popup will appear asking you to Merge the contacts in iCloud. Tap “Merge” to continue. 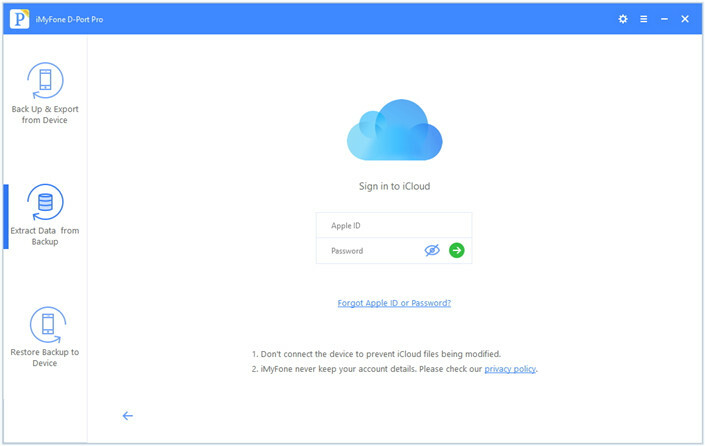 Step 3: Now go to the official site of icloud (icloud.com) on your computer and login to your account. Step 4: Click “Contacts” to access your contacts. Then click on the settings (cog) icon at the lower-left end of the screen and click “Select All”. Step 5: Click “Export vCard” and all the selected contacts will be exported to your computer.